Today is Saturday, July 13, the 194th day of 2013. There are 171 days left in the year. In 1787, the Congress of the Confederation adopted the Northwest Ordinance, which established a government in the Northwest Territory, an area corresponding to the present-day Midwest and Upper Midwest. In 1913, broadcaster Dave Garroway, the first host of NBC's "Today" show, was born in Schenectady, N.Y. 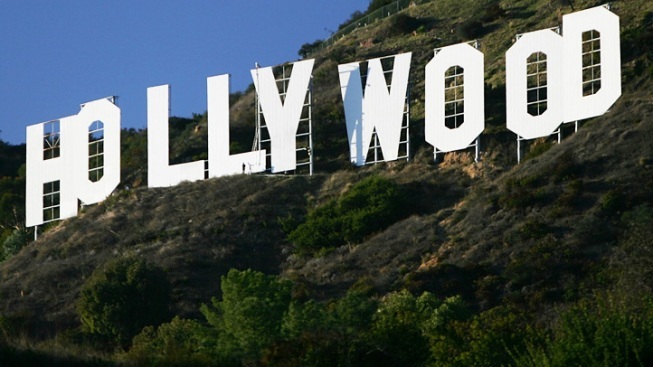 In 1923, a sign consisting of 50-foot-tall letters spelling out "HOLLYWOODLAND" was dedicated in the Hollywood Hills to promote a subdivision (the last four letters were removed in 1949). In 1939, Frank Sinatra made his first commercial recording, "From the Bottom of My Heart" and "Melancholy Mood," with Harry James and his Orchestra for the Brunswick label. In 1972, George McGovern received the Democratic presidential nomination at the party's convention in Miami Beach. Ten years ago: With the blessing of U.S. administrators, Iraqis inaugurated a broadly representative governing council. Cuban musician Compay Segundo died in Havana at age 95. Five years ago: An assault by militants on a remote U.S. base in Afghanistan close to the Pakistan border killed nine American soldiers and wounded 15. Anheuser-Busch agreed to a takeover by giant Belgian brewer InBev SA. Talk show host Les Crane died in Greenbrae, Calif., at age 74. One year ago: His credibility under attack, Republican presidential hopeful Mitt Romney insisted he had "no role whatsoever in the management" of Bain Capital, a private equity firm, after early 1999, and demanded that President Barack Obama apologize for campaign aides who persisted in alleging otherwise. JPMorgan Chase said its traders might have tried to conceal the losses from a soured investment bet that embarrassed the bank and cost it almost $6 billion — far more than its chief executive first suggested. Film producer Richard Zanuck, 77, died in Beverly Hills, Calif.
Today's Birthdays: Actor Patrick Stewart is 73. Actor Robert Forster is 72. Actor Harrison Ford is 71. Singer-guitarist Roger McGuinn (The Byrds) is 71. Actor-comedian Cheech Marin is 67. Actress Daphne Maxwell Reid is 65. Actress Didi Conn is 62. Singer Louise Mandrell is 59. Actor-director Cameron Crowe is 56. Tennis player Anders Jarryd is 52. Rock musician Gonzalo Martinez De La Cotera (Marcy Playground) is 51. Comedian Tom Kenny (TV: "SpongeBob SquarePants") is 51. Country singer-songwriter Victoria Shaw is 51. Bluegrass singer Rhonda Vincent is 51. Actor Kenny Johnson is 50. Actor Michael Jace is 48. Country singer Neil Thrasher is 48. Singer Deborah Cox is 40. Actress Ashley Scott is 36. Rock musician Will Champion (Coldplay) is 35. Actor Fran Kranz is 32. Actor Steven R. McQueen is 25. Thought for Today: "Individuality is freedom lived." — John Dos Passos, American author (1896-1970).